Chronic Stress And Your ZIP Code Can Shape Your Health : Shots - Health News Health care forms increasingly ask about more than just medical history. That's because doctors are beginning to understand that patients' stress, and how and where they live, influence health, too. Shannon McGrath, pictured with her son Rayder, says it has been a lot easier to make her medical appointments recently, thanks to help from a "patient navigator" — assigned to her by Kaiser Permanente — who arranged McGrath's transportation. That's why Shannon McGrath was asked to fill in a "life situation form" this spring when she turned up for her first obstetrics appointment at Kaiser Permanente in Portland, Ore. She was 36 weeks pregnant. "When I got pregnant, I was homeless," she says. "I didn't have a lot of structure. And so it was hard to make an appointment. I had struggles with child care for my other kids, transportation, financial struggles." The form asked about her rent, her debts, her child care situation and other social factors. On the strength of her answers, Kaiser Permanente assigned her what is called a "patient navigator." "She automatically set up my next few appointments and then set up the rides for them, because that was my No. 1 struggle," McGrath says. "She assured me that child care wouldn't be an issue and that it would be OK if they came. So I brought the kids and everything was easy, just like she said it would be." McGrath's navigator helped her get in touch with local nonprofits that helped her with rent, a phone and essentials for the baby — such as diapers and bottles — all in the hope that making her life easier might keep her healthier and, in turn, keep Kaiser's medical costs lower. McGrath says her patient navigator, Angelette Hamilton, was a bureaucratic ninja, removing paperwork obstacles that kept her from taking care of herself and her family. Angelette Hamilton works as a patient navigator at Kaiser Permanente Northwest, helping patients get social services. After Kaiser started offering patients this sort of support, one study found a 40 percent reduction in emergency room use. Patient navigators have been around for a while. What is new is the form that McGrath filled out and how hospitals are using the socioeconomic and other data the forms glean to serve patients. The details now go into a patient's file, which means providers such as Dr. Sarah Lambert have more information at a glance. 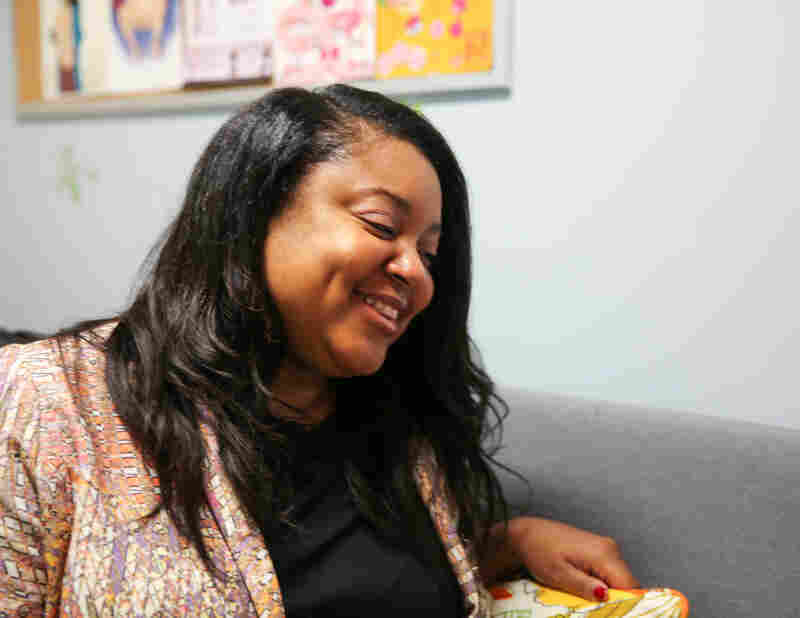 "I find it incredibly helpful because it can be very hard to find out," says Lambert, who is McGrath's OB-GYN and works at Kaiser Permanente Northwest. "Having it coded right there — we have this problem list that jumps up — really can give you a much better understanding as to what the patient's going through." Federal officials introduced new medical codes for the social determinants of health a few years ago, says Cara James, director of the Office of Minority Health at the Centers for Medicare and Medicaid Services. "More providers are beginning to recognize the impact that the social determinants have on their patients," she says. Nicole Friedman, a regional manager at Kaiser Permanente Northwest, agrees. But she goes one step further. She hopes giving doctors more information about the home life of each patient will push health care in a new direction — away from more high-priced treatments and toward providing the basics. "My personal belief is that putting more money into health care is a moral sin," she says. "We need to take money out of health care and put it into other social inputs like housing and food and transportation." Linking health organizations like Kaiser with nonprofit social services such as the Oregon Food Bank will help governments and medical providers see where their money can make the biggest difference, Friedman says. For example, spending more on affordable housing for homeless people can also have health benefits, in turn saving the government money down the line. Friedman says that when Kaiser started addressing people's social needs, one study found a 40 percent reduction in emergency room use. McGrath was initially skeptical when doctors offered to help her with things like rent and transportation. "I didn't want someone to see my situation and have it raise alarms," she says. But ultimately she was glad to have shared that information. "I'm able to look at life and not feel overwhelmed or burdened," she says, "or like I've got the whole world on my shoulders. This story is part of NPR's reporting partnership with Oregon Public Broadcasting and Kaiser Health News, which is an independent journalism organization and not affiliated with Kaiser Permanente.